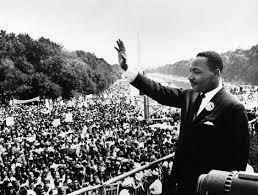 The 32nd Annual Dr. Martin Luther King, Jr. Celebration takes place Monday, Jan. 15. It honors the life and legacy of King with a community celebration that features Keynote Speaker April Reign, creator of the viral hashtag #OscarsSoWhite, and the premiere of the opera “I DREAM” at Fountain Street Church. Monday’s celebration is open to the public and is hosted in collaboration with Grand Valley State University, Grand Rapids Community College, Davenport University and for the first time, Opera Grand Rapids. That’s Ashley Roberts, Marketing Director for Opera Grand Rapids. In addition to the Opera presentation, the keynote speaker for the event, April Reign, is big in the social media movement. Her mission is to encourage her Twitter followers to challenge the status quo and increase inclusion of underrepresented communities in the media and the world. Scholarships will also be awarded to students involved in community service or activities that support diversity and inclusion in the community. The MLK Celebration starts at 6 p.m. with the university presentation at the Fountain Street Church. The performance of “I DREAM” will follow the presentation at 7:30 p.m. All are welcome, and seating will be available on a first come basis at the door. Doors will open at 5:30 p.m.